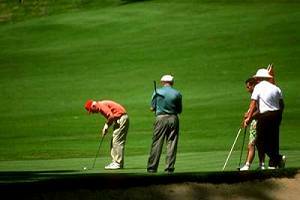 As most golfers know the Algarve is 'the' golf paradise. 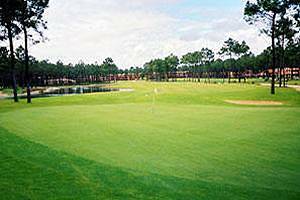 There are about eight golf courses within a radius of fifteen minutes drive from the villa, namely Pinta, Gramacho, Penina, Palmares, Salgados, and Vale de Milho. The nearest golf course is less than five minutes by car, and the huge selection of golf courses around Quinta do Lago and Vilamoura are only a half hour away. At the villa we have several electric golf trolleys, that can be used for a small fee. A region renowned throughout Europe for golf, the Algarve has golf courses of recognised quality, many of them designed by leading architects in the field. If we add to this the exceptional natural conditions and climate that the Algarve has to offer for outdoor sports throughout the year, it is easy to see why the region has been chosen to hold some of the world’s most prestigious competitions. Framed by a valley that zigzags through steep slopes, the Parque da Floresta - Golf and Leisure Resort – is an impressive arena that has already been the stage for the prestigious Europro Tour. The well-known Palmares Golf in Lagos is used to organise the Amendoeiras em Flor Tournament in February, when the almond trees are covered in pink and white blossom. Also in Lagos, the Quinta da Boavista course offers beautiful lakes and waterfalls as well as full sea views from nearly all of the holes. In addition, the Monchique mountain range in Leste provides a spectacular backdrop to the Golfe do Morgado and Golfe dos Álamos courses. The Le Meridien Penina Golf & Resort, in Portimão is a centre with an excellent course, which has won prizes many times as one of the finest in Europe. 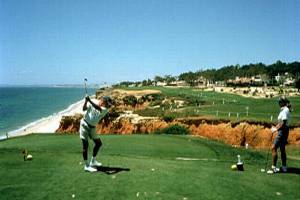 It was the first 18-hole course opened in the Algarve and has already hosted the Algarve Open on several occasions. In Lagoa, the magnificent Quinta do Gramacho course in Carvoeiro, designed by Ronald Fream, now receives the Algarve Ladies Open, a tournament that forms part of the Ladies European Tour. 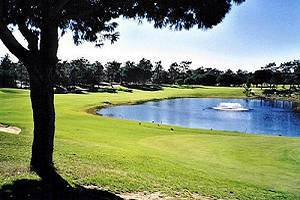 In Albufeira the Salgados Golf Club combines lakes, waterfalls and rolling sand dunes.